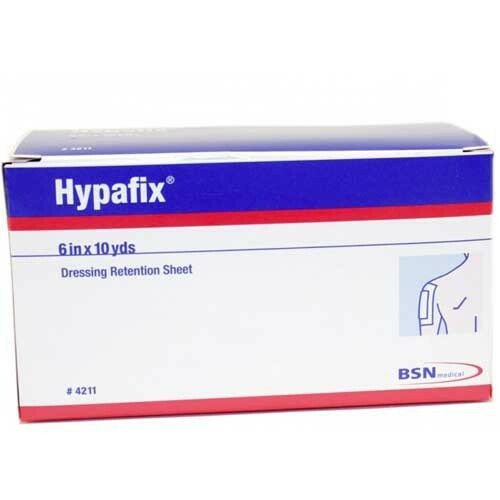 BSN 4211 Hypafix 6 in x 10 yds Dressing Retention Sheet is a large-sized dressing meant to retain a site while maintaining skin integrity in the process. 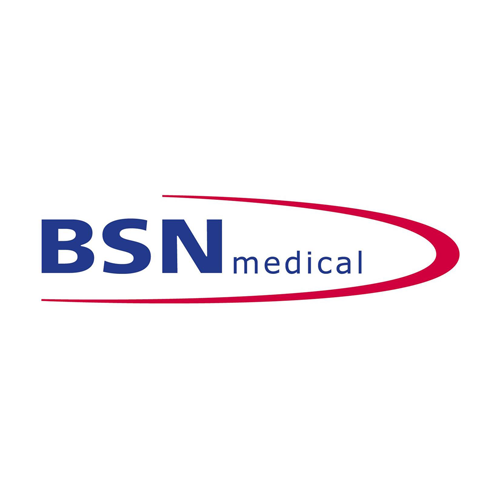 This elastic tape is skin friendly and uses a printed back to help "release" the tape onto the skin area without damaging the dermal area in any way. 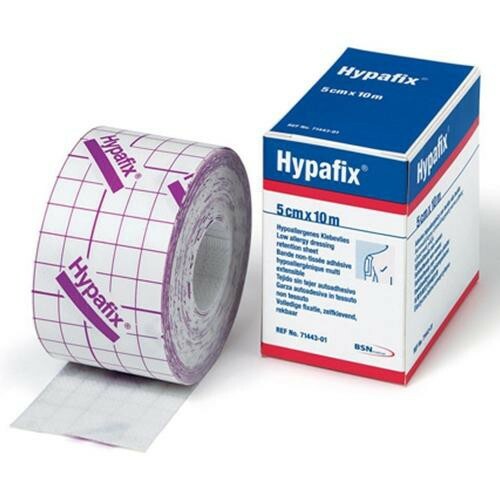 The six-inch width makes it easier to apply to multiple sites and releases just as easily as any other Hypafix dressing. Hypafix 15 cm x 10 m also has has a large range of uses, making it very versatile for any situation. The dressing sheet comes in a 6-inch x 10-yard size and is white for easier monitoring of the site.